Two businesses from the Bath area have today been recognised as ‘export champions’ by the Department for International Trade (DIT) and International Trade Secretary Liam Fox. 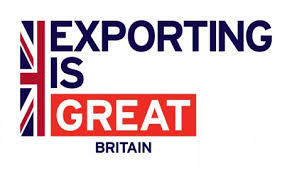 Organic waste pioneer Advetec and Scanning Pens, the world’s leading supplier of pen scanners, are among 15 leading exporters from across the South West to appear at an event for firms with export success stories to tell in Bristol today. The firms have been selected by DIT for their inspirational approach to growing their businesses through exporting, and will now encourage other businesses in the region to start exporting. Established in 2000, Midsomer Norton-based Advetec uses unique bacterial blends that digest organic waste rapidly, reducing operating costs and providing opportunities for residual waste to be used for energy production. It has been exporting since 2008 and overseas sales now up make up 80% of its £2m turnover. The USA is its most significant export market, with others including UAE, Australia, New Zealand, Italy, Spain and Ireland. Chief executive Craig Shaw said exporting had been instrumental in Advetec’s ability to grow rapidly and deploy innovative technology across the world. He advised firms to use DIT to assist with exporting, especially in new markets. Westbury-based Scanning Pens has worked with manufacturers for 15 years to develop assistive technology to support education. Its pen-shaped scanners have small built-in LCD screens with headphones and speakers for hearing words. The pens assist those who struggle with reading difficulties such as dyslexia, and people can read and learn independently using the technology. The firm, which employs 56 people, derives 60% of its £6.5m turnover from exports. It has done business overseas since 2015 and now sells in six markets including Australia, Canada and the US. According to co-founder and chief operating officer Jack Churchill, exporting has led to diversification and increased global market knowledge. It has also provided a plethora of new opportunities. Other firms named among the 15 today are Thatchers Cider, advanced engineering group Renishaw, cheese maker Lye Cross Farm and handmade artisan ice cream and sorbet firm Granny Gothards. Their appointments come at a time when worldwide appetite for South West goods continues to grow. Last year exports from the region rose by 5% to £21.5bn compared to 2017.